Sixteen-year-old Caleb has been called many things: a patient, a musician, even a prostitute…now he has a new name—son. After his identity is uncovered, Caleb bands together with the family he once rejected in order to save the city of Vendona. But it won't be easy. Enemies wait around every corner—and so do harsh realities. With Violet and Kuthun by his side though, nothing seems impossible. 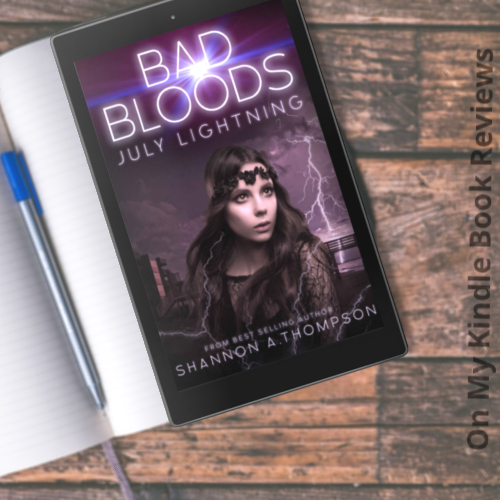 As Vendona sits on the verge of an economic collapse and a massive hurricane threatens the city, Violet and Caleb must show its citizens how to overcome decades of hostility and division to save themselves. Standing or not, a sea will rage, a wall may fall, and all will depend on immortal pain and sacrifice. Source: I received a free copy of this book with the option of posting a review. 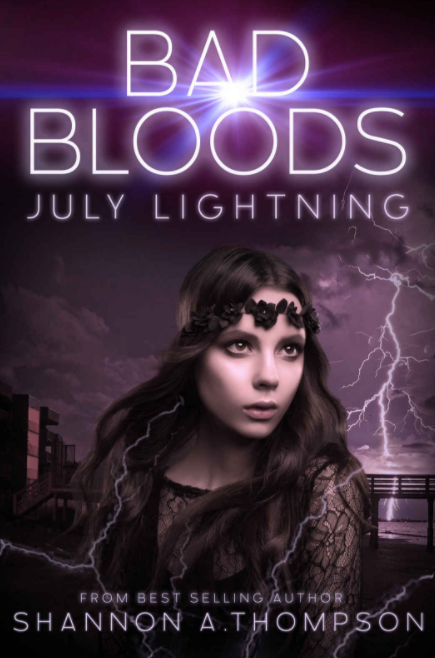 A captivating end to a duology that explores Violet, an intriguing and elusive protagonist, and Caleb, a non-Blood who has been cast aside by humanity. Violet has ended up being one of my favorite characters in the Bad Bloods series. She's a bit like Storm from the X-Men; nobody really knows how old she is (but she's definitely one of the oldest), her origin story is unclear, and the extent of her abilities has yet to be discovered. She is a study in contrasts, appearing to be young and heedless in some instances but wise in others. Her abilities can harm those around her or they can protect. I have really enjoyed watching how Thompson developed Violet's character, but I also felt a little emotionally distant from the plot itself. I think the reason why this emotional disconnect occurred is due to the focus on some of the side characters who didn't really have any backstories. To me, it's a bit like a film director taking the focus away from the main characters to focus on extras who I don't know anything about. When you see an extra put in harm's way during a movie, you might think "That's unfortunate" but it doesn't have the same emotional impact as if a character you like is put in harm's way. Even though I felt emotionally distant from the story, I still loved Thompson's imaginative and realistic writing in this book. The political intrigue and the social commentary that I enjoyed in the previous books were still present, and the twists that Thompson included in the plot made it exciting to read. One especially compelling twist was the ending. Other readers have expressed their misgivings about how the book ended, but I thought it was an enigmatic ending for an equally enigmatic character like Violet. While not my favorite in the series, I still enjoyed reading July Lightning. It wouldn't hurt my feelings if Thompson decided to share a more in-depth exploration of Violet's character in the future, and I'd be thrilled if more books were added to the Bad Bloods series. Find the Bad Bloods Series!